Every event - extravagant and grand or intimate and simple - should be a meaningful reflection of you. From bouquets to centerpieces to installations and beyond, we’ll help bring your unique vision to life with flawless fresh florals. Our style is organic, modern, and personal - perfect for the easy-going couple. "I hired LPF for my wedding. Liz worked very hard to bring to life my vision for the day! It’s obvious she cares a lot about what she does and will go the extra mile and work overtime to get the job done." 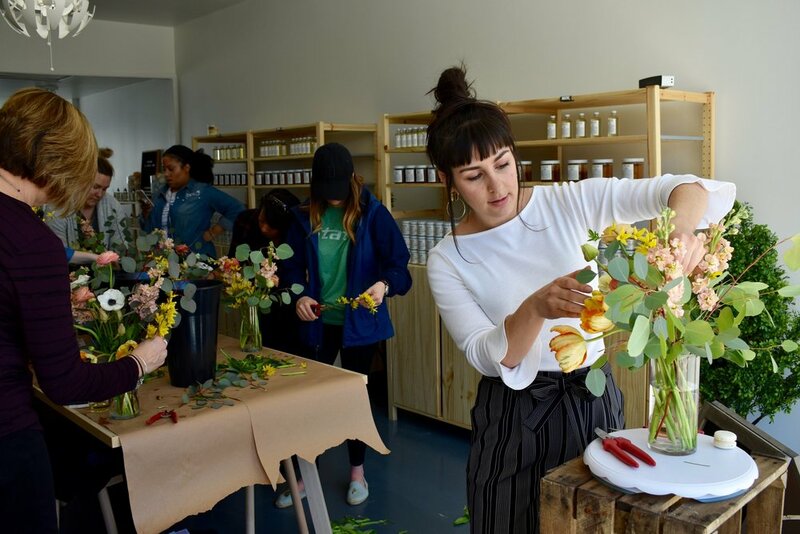 "I attended a flower arranging workshop with Liz and learned so much about floral arrangements, and had so much fun! Liz is very knowledgeable about flowers and properly displaying them. My inexpensive Trader Joe bouquets have never looked better or lasted longer. Liz also suggested great tools to use to maximize flower life. Would highly recommend a workshop with Liz!" get treated like the vip you are with early access to news, events, discounts + more!